The independent bottling company of Douglas Laing have announced a web exclusive series of single cask whiskies as part of their ongoing 70th anniversary celebrations. 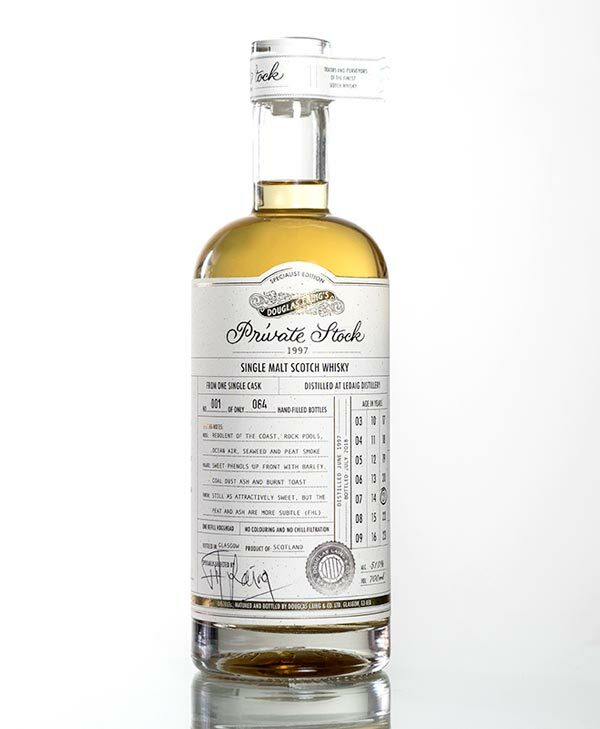 The Private Stock series will feature whiskies from within the Laing family's personal collection of casks and will begin with a Ledaig 21 years old that was distilled in 1997. It, and all subsequent bottlings, will be released at the natural cask strength (51% ABV in this case) and be non chill-filtered and of natural colour. They will only be available via www.douglaslaing.com. The Ledaig 21 years old cask has yielded just 84 bottles and these are presented in a wooden case with each label hand signed by Fred Laing, the comapny chairman. Each will cost £124.99. "Reaching 70 years has meant not just a time for celebration but a time for reflection. We owe our success to our loyal customers and opening up our private stock collection of whiskies is one way of saying thank you." The Elgin-based independent bottler of Gordon & MacPhail have announced a set of 30+ year old whiskies from their extensive range of casks to help celebrate the 50th anniversary of their popular Connoisseurs Choice range, which in the late 1960s pioneered many single malt distilleries that had never previously been released. 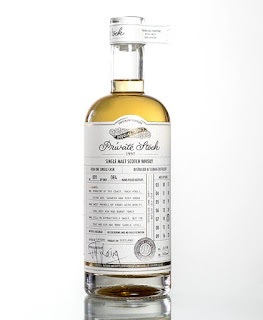 The new set includes malts from Caol Ila and Linkwood, plus a Mortlach (pictured) that was distilled in 1987, and is presented in a newly designed decanter-style bottle and wooden casket. All will be non chill-filtered and of natural colour. 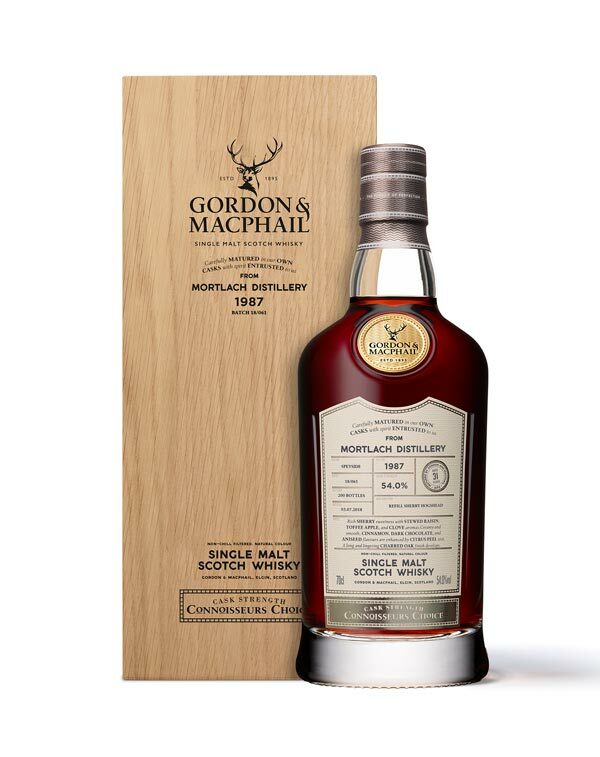 Earlier this year Gordon & MacPhail announced one of the most major streamlinings of their ranges in the family owned company's 123 year history. This included a new bottle design and packaging for the regular bottlings in the iconic Connoisseurs Choice range. "We are proud to be the curators of the world’s most diverse stock of single malt Scotch whiskies. When my grandfather launched Connoisseurs Choice in the 1960s he was considered eccentric. Today, he is heralded as one of the industry’s pioneers. Our new releases celebrate this proud heritage." Stephen Rankin - Director of Prestige at Gordon & MacPhail.